Integrating my Spring pieces back into the mix… the heels are picnic ready! 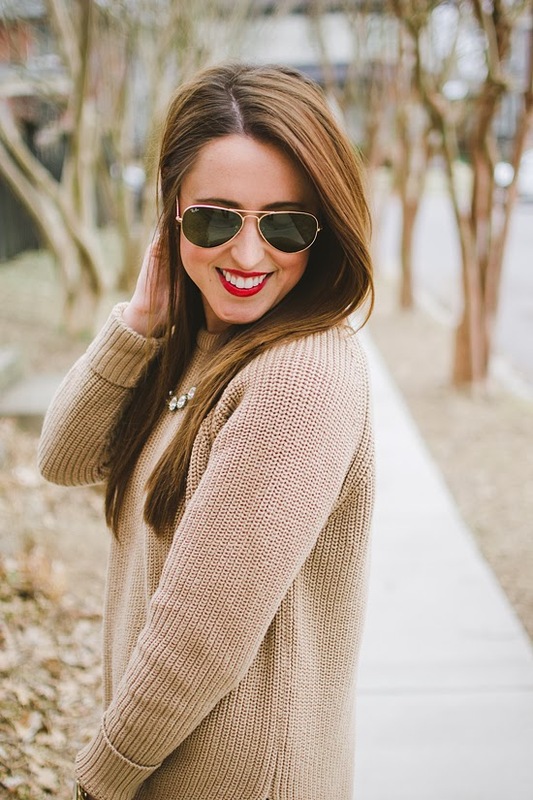 Paired with this sweater that I have been obsessively wearing this Winter, it's perfect for the crazy March weather. What pieces make you feel Spring ready? All of my flats make me ready for spring bc i know i can let the top of my feet peek out without freezing! well, hopefully! EEEEEEEEHHH! I love, love those flats Jess! 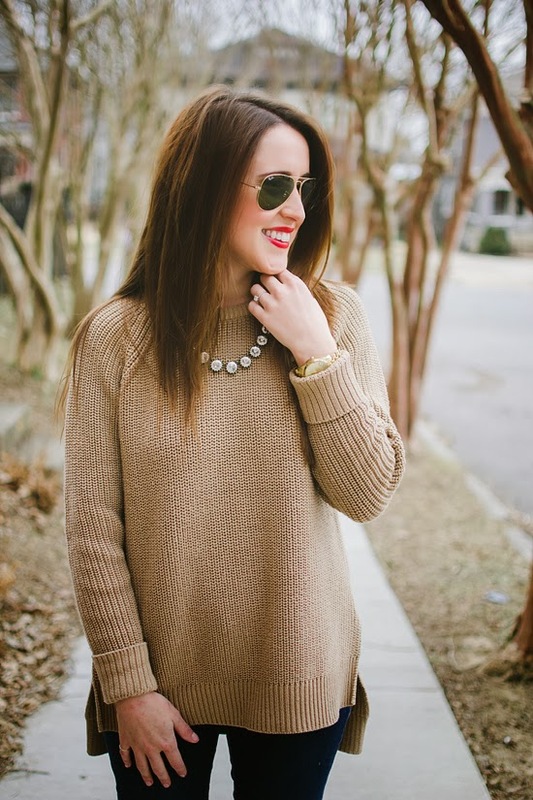 Love this camel sweater and your flats are sooo adorable. These are so cute...they definitely remind me of a spring picnic! Ahhhhhh, these heels!! Did they bring them back this season? I have been eyeing those babies for almost a year!!! LOVE! Love the red lips and those shoes! 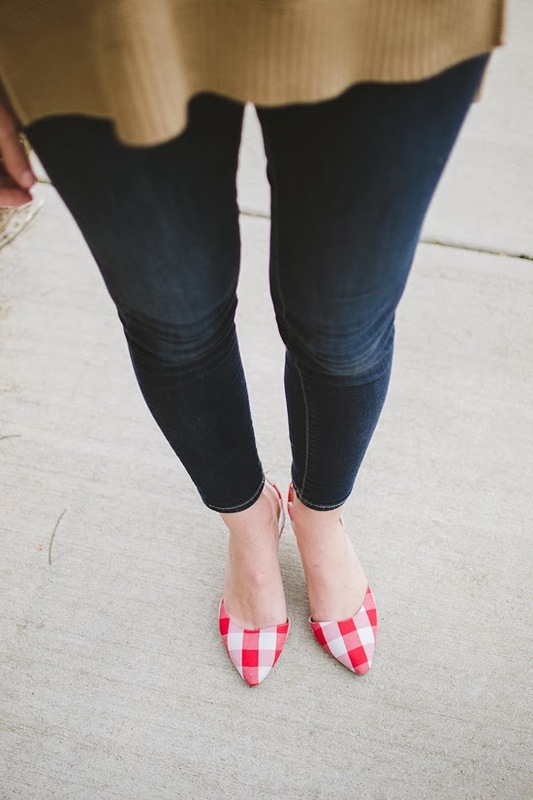 I am in love with those red gingham shoes! They're fabulous! love those heels!! they are adorable :) can't wait for spring! I'm loving this sweater and those shoes! So adorable! following you via gfc and facebook now! Those shoes are so fun, and so perfect for spring! I love them! LOVE this. Simple, cozy & chic! xoxo. Love this outfit! 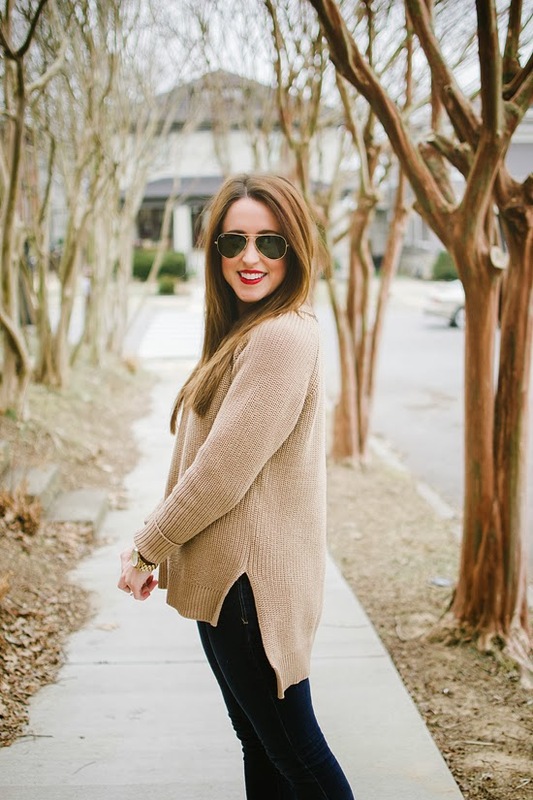 great pairing of the shoes and the red lipstick with the beige knit! Love love love that sweater. Beautiful shape and color. Ooh those heels! I love them so much. How cute, pretty, and fun! your shoes are so stinkin cute, I want to go on a picnic! Kind of obsessed with your shoes! That sweater looks so warm! I'm ready to bust out some flats and leave my coats at home! This outfit is soooo great. I love it!! These heels are adorable. That sweater is absolutely perfect! those shoes are so fun! i love the color, and definitely they are so springy! I love the casual ease of this outfit and these shoes are so fun. I love those shoes!! I really wanted to get them, and I still hate that I didn't! They are fabulous. You look adorable! love this! those jeans are perfect! LOVE this outfit! The heels add such a great pop to this outfit! They haven't yet & I tried to dredge up some hits on eBay & failed at that too! Fingers crossed that ShoeMint revives this classic for 2014! You do deserve it. The universe can be so unfair!